Taken from the program, while doing a little clean-up – this topic deserves a spot outside of the paid program. 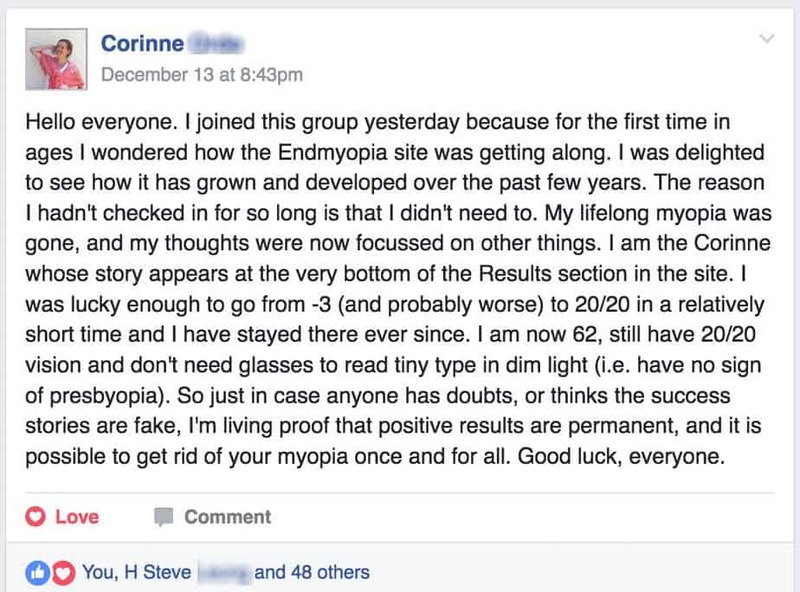 It is key to understanding what the #endmyopia Method is about, and how to actively manage prescription strength to minimize eye strain (and if you want, to improve your vision). While I try to keep specialized terminology to a minimum, there are a number of concepts that require definition, to help us quickly refer to ideas and methods of your vision improvement practices. One of the more important of these concepts is the blur horizon. The blur horizon is the distance at which the image you are focused on, becomes blurry. 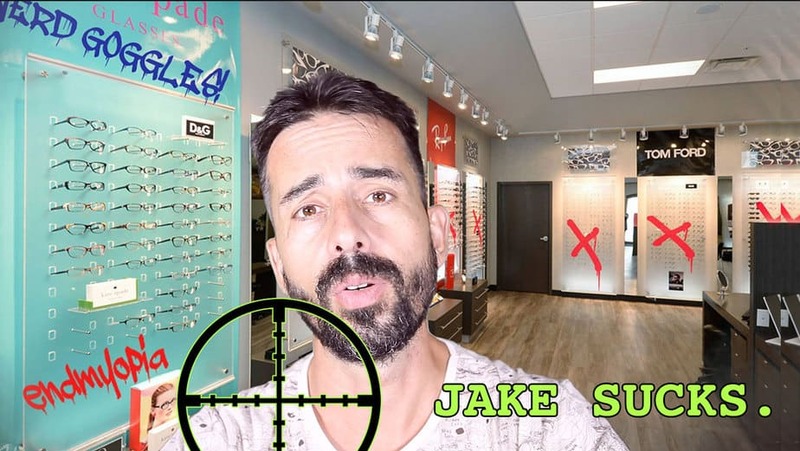 I am purposely not using other established terms here, as they are generally associated with the prevalent single prescription practice (optic shop gives you one prescription, ignoring varying focal planes in your life). Integral to the #endmyopia Method is the idea that you need at least two sets of lenses, to cover the two far ends of the focal plane spectrum – meaning, the majority time you spend looking at objects very close to you (computer screens, printed pages), and the time you spend looking at distant objects (driving, playing sports, watching movies, being outdoors). Discussed at length elsewhere here (and in the Vision Improvement Program) is the absolute imperative to not use a single, static focal plane, for these two extremes of your focal distance – meaning, you can not possibly use just one set of glasses to account for focusing on a 50cm distance, as well as a 50000cm distance. 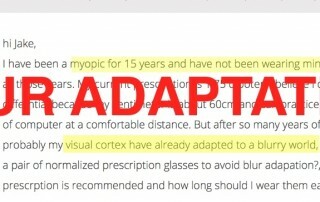 While it does appear to work, due to the amazingly flexible nature of the human eye, this practice significantly worsens myopia in many cases (especially when using a full prescription to look at a close-up object for extended periods). 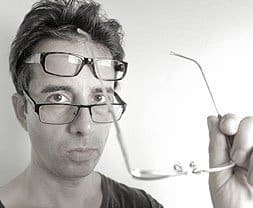 The endmyopia method introduces you to the idea of using multiple prescriptions, to reduce the strain the single prescription practice causes (especially when used at close distance). In the first month, you begin using differential lenses, for close-up work. The second month adds a normalized lenses (for distance use), which takes the idea of blur horizon one step further. Later, in the advanced course, we look at the peak prescription as an option to further push your progress. Above: Blur horizon appropriate for close-up. Lower prescription (or plus lenses). All of these variations are defined, in their diopter values, by your individual blur horizon for varying distances. 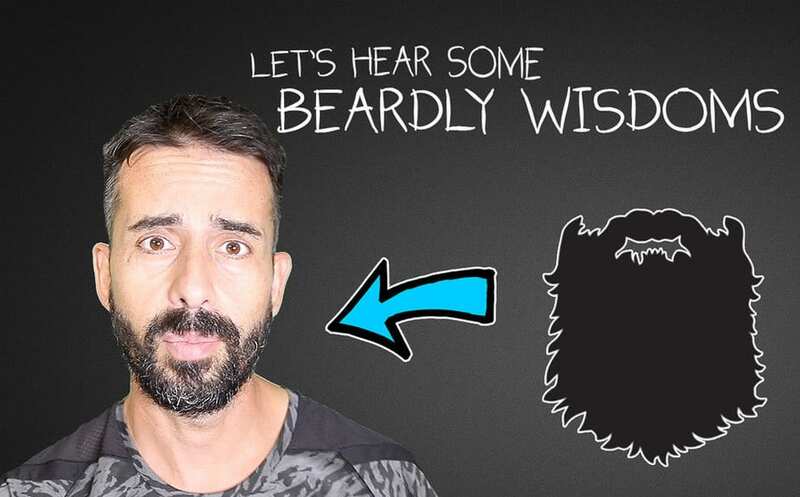 At its core, this is the simplest of ideas – wear glasses that let you see clearly, up to the maximum distance of the activity – and no further. This allows us to both prevent overprescription (in the use of the wrong prescription for the chosen task), and gives you a chance to push your eyes to focus. The blur horizon is a tangible end to where you can see clearly, and you can push this distance further, with some simple exercises (pushing and pulling focus). 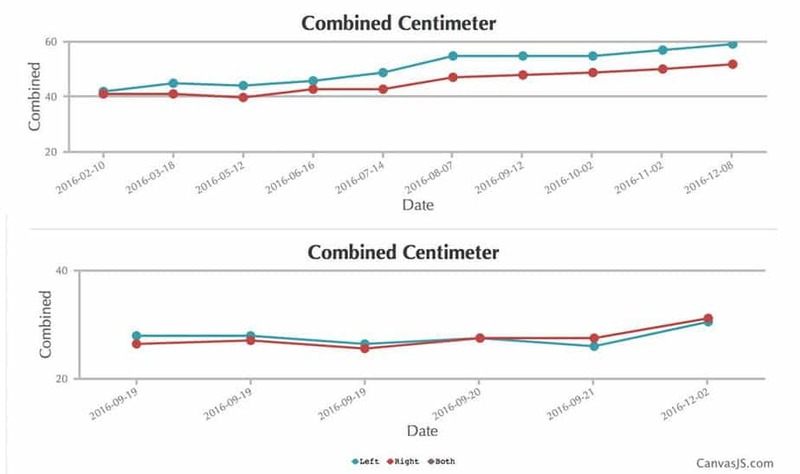 In other words, when you buy lenses to deal with just close-up, you select a correction strength that will let you see clearly to about 50cm (average case). You may need a minus, or a plus lens to create this scenario where you have a definite blur horizon, at 50cm. If you want to see further, clearly, you are having to push or pull focus, to slowly extend this distance to 51cm, 52cm, etc etc. Without a blur horizon, you can not actively work on improving your vision. 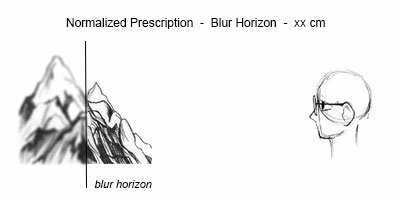 Let’s consider, for a moment, the single prescription practice (which we try to avoid, but is the default for almost all optic shops): what is your blur horizon with that method? Single prescription practice puts your blur horizon at infinity. As you may note by now, that is not a very good idea (if you value eyesight health). 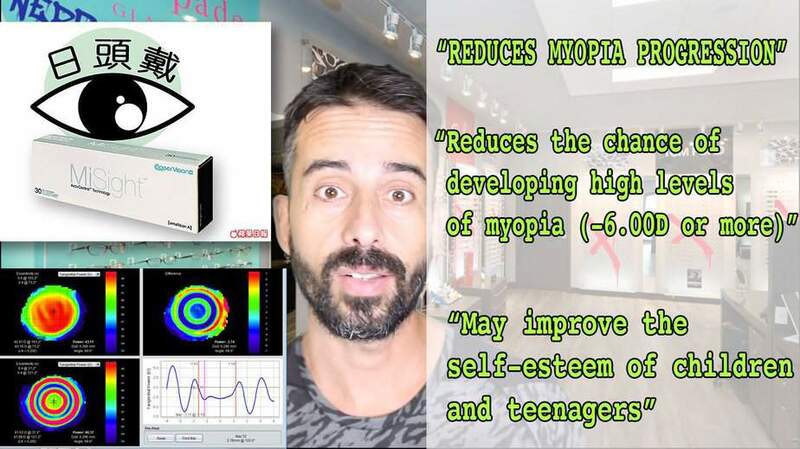 Still, this is the express goal of the single prescription approach (much unlike the #endmyopia Method, and other rehabilitative views on myopia). 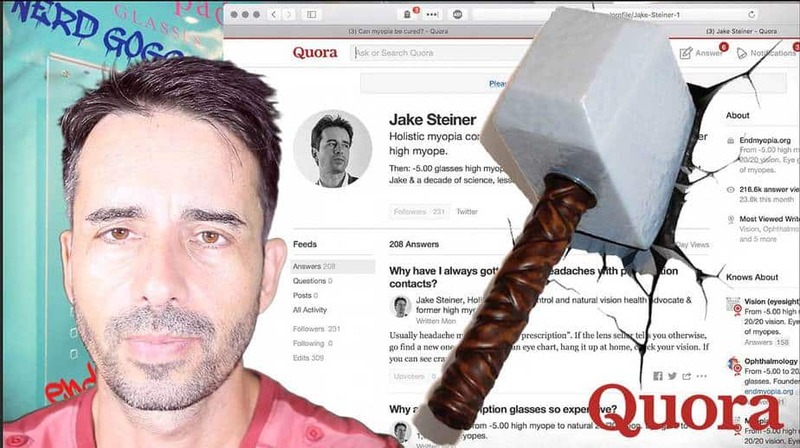 That practice does not acknowledge the possibility that your eyesight can be improved, and it ignores the significant strain imposed on your eyes, when using the adjustment to infinity, at a 50cm (!) close-up distance. It does address your symptom, but it is a bit like giving morphine for a headache, or cutting your leg off because you broke a bone (those remedies also fix your symptom, but arguably not in a way that leaves you in better health). 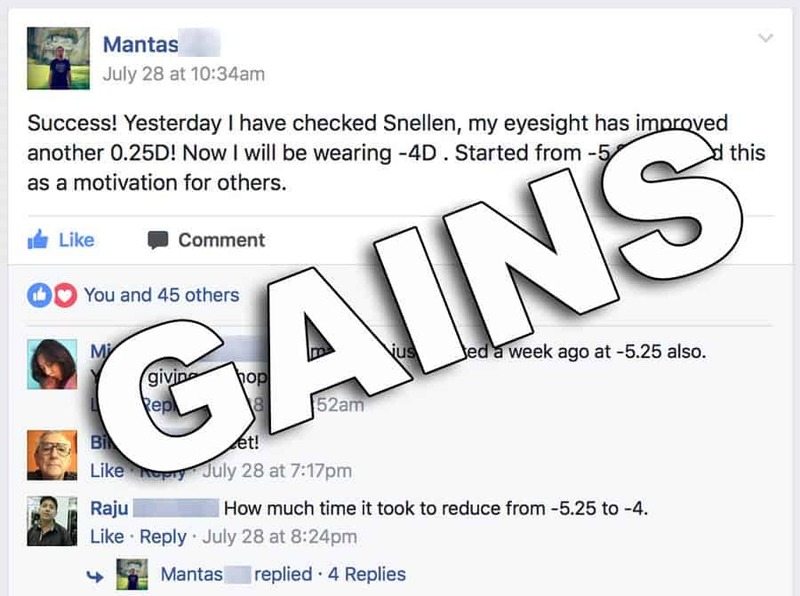 That is the problem with the single prescription method (discussed at length elsewhere) – they fix your eyesight problem, but creating a bigger issue, and long term dependency, in the process. 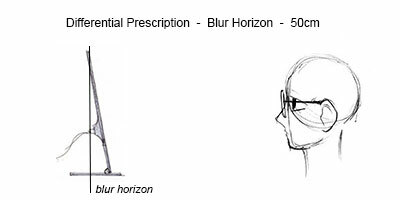 We look to avoid the pitfalls of single prescription, by using concepts such as the blur horizon. Above: Blur horizon for distant objects. Higher prescription than used for close-up activity. Once you know where your blur horizon is, for the chosen activity, you can select the proper set of corrective lenses to achieve this distance. This will vary based on your myopia, your activity, and also the degree to which your eyes are improving, using the #endmyopia Method. This helps avoid excessive strain, gives you a target to work towards (push the blur further away! ), and creates a better (and much more temporary) relationship between you, and prescription lenses. To put this concept into practice, you will find a lot of information in the blog and forum. Additionally, there are the Vision Improvement courses to provide more structured guidance (if you prefer a step by step approach). If you are new to these ideas, also take a look at the centimeter measurement. Related to this topic is of course active focus. If you haven’t started working on this key stimulus provider, take a look at this article.